The Marriage Manifesto is the Ultimate Tool for Co-Creating Long-Lasting-Love and Happiness in Your Relationship! • We’re happy now, but how do I make sure we stay that way? • I want this marriage to last, but what can I do to make sure it will? • What will our life be like after we are married? • What should be focused on to ensure a lasting marriage? • What are the conversations you must have before walking down the aisle? • How do you avoid the disappointment of expectation violations? The Marriage Manifesto: The Ultimate Tool for Co-Creating Long-Lasting-Love and Happiness holds these answers. We get engaged with the best intentions, but healthy and happy marriages don’t just happen by accident. Certainly you want to do anything you can to ensure that your marriage will be a lasting one that brings you happiness and joy. But what can you do? As a spiritual minister and counselor, I have helped hundreds of couples through relationships from pre-commitment to post-marriage. There are keys to creating successful relationships, and once you learn them, amazing things are possible. • Thinking about getting engaged and wonder how marriage will change your relationship? • Recently engaged and want to create a strong foundation for marriage? 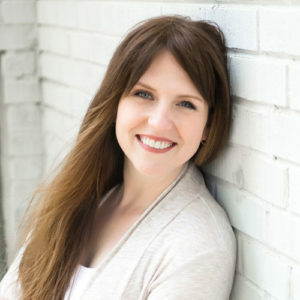 • Ready to work as a team to consciously co-create the lives of your dreams? • Interested in having a tool to guide you throughout your marriage? • Interested in re-inventing your marriage? 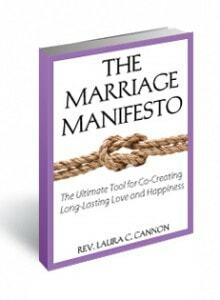 The Marriage Manifesto: The Ultimate Tool for Co-Creating Long-Lasting Love an Happiness, also shows you how to create your very own Marriage Manifesto. The Marriage Manifesto is a document that you write together as a couple to declare a set of intentions for your married life together. Making a plan for your future is the best way to ensure your future success. In less than the time it takes you to plan a wedding (which only lasts 5 hours), The Marriage Manifesto helps you to create a marriage that lasts a lifetime. What Is Your Marital Happiness Really Worth? For a small investment of only $9.99. Yes, less than $10! You’ll have all of those initial questions answered and have everything you need to create a Marriage Manifesto you can start using TODAY. In addition, you’ll also learn ways to enhance your Marriage Manifesto experience. If you are eager to take the necessary steps to create the kind of marriage that you have dreamed of, then you are ready for The Marriage Manifesto: The Ultimate Tool for Co-Creating Long-Lasting Love and Happiness. This book also makes a great engagement gift, shower gift, wedding gift, and it is also great for married couples looking to spice things up! Click on the book cover to purchase this book and begin co-creating the path to wedded bliss!